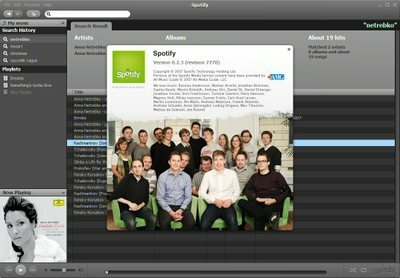 Really nice "people" touch on the 'About us' menu entry of Spotify, the new music service from Sweden : they should the list of employees of the company + a picture of them. Nice thought Daniel. I had never seen this elsewhere. So when are we getting the "invite 5 friends" feature in this alpha release :) ?